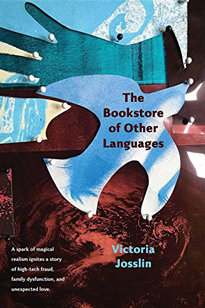 Bainbridge author Victoria Josslin's novel The Bookstore of Other Languages (2018) is "an international romance, a screwball comedy, and a mystery set in motion by a jolt of magical realism,” says Jim Demetre, former arts editor of Seattle Magazine. 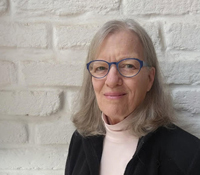 The book's protagonist Bryce Hanford, aimless, drifting and stuck, is in need of a spark of energy. He finds it at The Bookstore which offers "effortless fluency in any language through a simple and safe outpatient procedure.” The Bookstore leads Bryce, his family, his true love, his girlfriend (oops), a couple of fraudulent co-conspirators, and a deus ex machina of questionable ethics from Seattle to Tirana to Paris, with a slight detour to Manaus. While Bryce finds it in himself to handle fraud, smuggling, and a friend’s sudden cancer diagnosis, not to mention handling Cousin Brenda, he also finds that what he really wants is someone who speaks his own language.